Twas the day after the Super Bowl and all through the house, not a creature was stirring, not even an Atlanta Falcons fan. Super Bowl Sunday is always a fun day and even though the Atlanta Falcons didn’t bring home the trophy, the 2017 game was no exception. I was pulling for my Georgia boys, but you can’t win them all. What a great game! Congratulations, New England Patriots. Also, did y’all see those performances? Luke Bryan did a fantastic job on our great nation’s National Anthem and Lady GaGa slayed the halftime show. 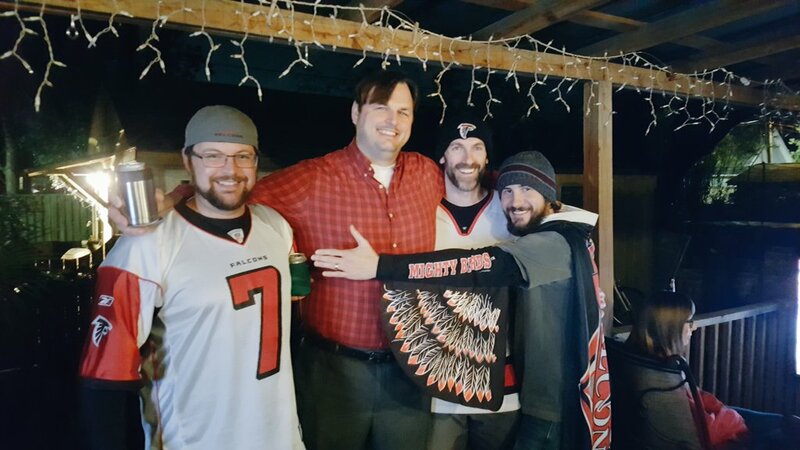 My husband and I celebrated the biggest football game of the year with great friends at a Super Bowl party in Savannah. On a typical Super Bowl Sunday, I usually spend the day in the kitchen preparing food all day for the big event, so it was nice to be invited to someone else’s home this year to enjoy the festivities. 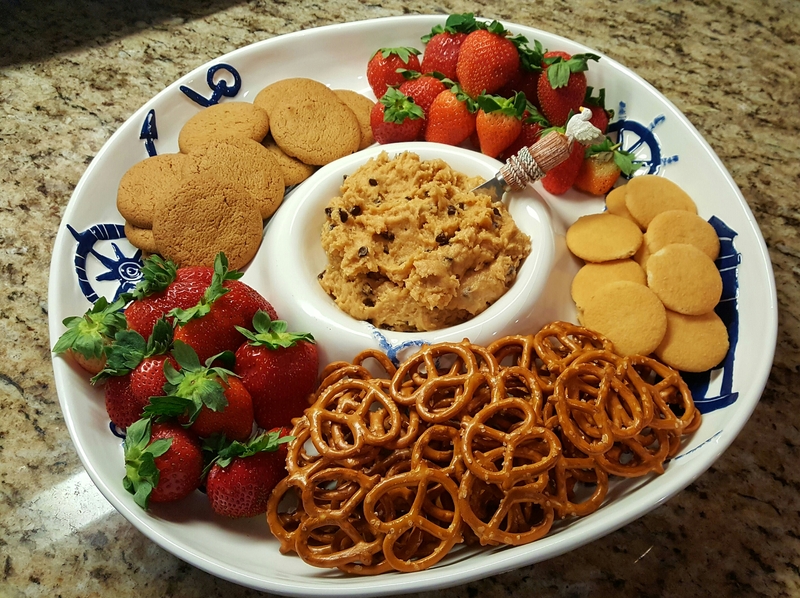 On the Some Kinda Good Facebook page, pre-game, I shared a great recipe for Chocolate Chip Peanut Butter Dip, or what Rachel Ray likes to call Peanut Mousse. I saw the recipe on her show last week and just had to make it. Thanks, Rachel, for the inspiration! This dip makes a great presentation and is fun to serve with all kinds of interesting dippers. I used fresh strawberries, pretzels, vanilla wafers and ginger snap cookies. Honey Graham Crackers would complement it well, too! On a table full of wings, bread and slow cookers, Chocolate Chip Peanut Butter Dip was a touchdown. Make it for a bridal shower, graduation party, girls or guys night in. Everyone will thank you. In a stand mixer, combine cream cheese and sugar. Add the peanut butter then fold in the chocolate chips, salt and whipped cream. Serve with berries, pretzels and cookies alongside for dipping. For more great recipes, don’t miss my party food post, homemade Guacamole or Buffalo Chicken Dip.